Meet Trackin, a complete software solution for restaurant managers to control your fleet of delivery persons in real time and easily accept online orders. Trackin provides a dashboard for your restaurants, a mobile app for your drivers and an online order widget for your customers. Thanks to this startup attending Y Combinator’s current batch, you will know when your driver is back and when to start cooking. The dashboard centralizes all your orders, including on third-party websites. People can order on your website using Trackin’s online order widget, GrubHub, Eat24 and other online ordering platforms, and every order will end up in Trackin. And of course, if someone calls you, you can manually add an order to your dashboard. Trackin also has a few tricks up its sleeve. For example, the startup will help you figure out the ideal delivery zone based on ETA. “We define a smart delivery zone. 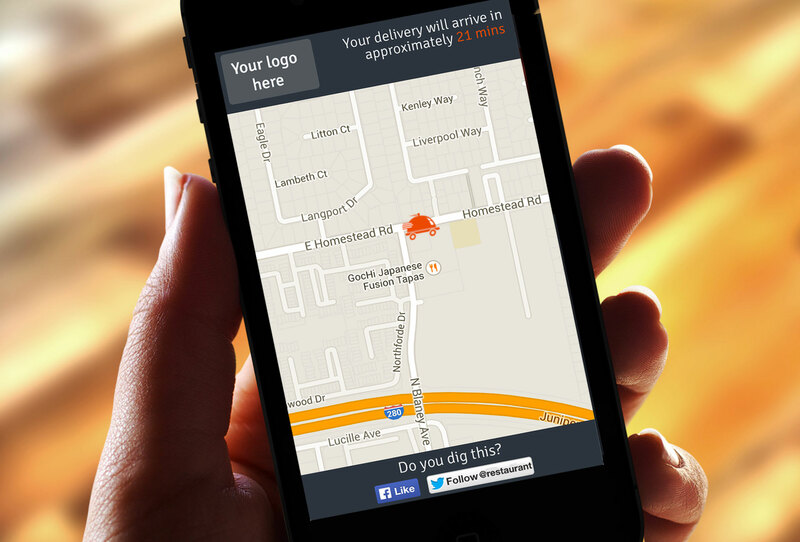 Most restaurants currently use ZIP codes or miles for their delivery zone,” Didier said. Once everything is set up, you can just enter someone’s address to know whether you should accept their order. Drivers then carry a smartphone to share their location in real time and get order details. Customers can pay using Stripe at delivery or on the restaurant’s website. The entire process is a great way to collect data and learn more about your restaurants. For example, if too many orders arrive late, it means that you should probably hire another delivery person. It gives a lot more insight for restaurant managers, making the experience more like SimCity than a guessing game. Finally, Trackin controls everything from one end to another. The company will automatically send an email on your behalf to apologize if you were late. It can also ask your customers to rate your restaurant on Yelp or Google+ and more. The startup targets small restaurants as well as big restaurant chains. A few restaurants already use Trackin, and they experienced a 15 percent revenue increase on average. Trackin costs $0.30 per delivery whether you order on GrubHub, by phone or through any other channel. The startup will take an additional 5 percent cut on every order made on the restaurant’s website using Trackin’s widget. A $0.30 flat fee seems very low, and I can see big chains adopting Trackin’s delivery management system in no time.